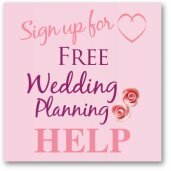 Other links on this site may lead to other companies that I'm associated with and this is how I can keep this site going and save you money on your wedding. Choosing your wedding invitation phrases can take ages, you want to have the right words and express youselves but so many of the invitations you see are a bit corny. In choosing your own phrases that are unique to you, you will show your guests the style of your wedding. Not surprising some couples will spend so long choosing the right words that the invites are nearly late! If you are looking for the appropriate phrase for your wedding invitation wording, take a look at this article on traditional invitation wording or there are also more unique ways to invite your guests. Wedding invitation phrases are also a beautiful way to decorate your invites, they add romance and your personality to what is normally fairly formal. If you have a favorite poem or song lyric that you want to share with your guests you can start by adding it to the front of your invitation. Or even from your favorite movie! Take Princess Bride – an amazing, funny, romantic movie and the track by Willy DeVille, Storybook Love. Great track for a first dance, if you are looking for one! and all the charms she did posess"
"This day I will marry my friend, the one I laugh with, live for, dream with, and love"
If your wedding and your personalities love to have fun, you can still have fun on your wedding invitations. Little phrases like "Guess Who Is Getting Married?" or "About Time!" will show that this is going to be a fun wedding. Be yourself when it comes to your wedding invitation phrases, it doesn't have to be a corny line that you have seen before, it's nice when it can reflect your personality. Don't just stick with words for your phrases, you could have photos of the two of you holding up white boards with the date of the wedding, or "guess who is tying the knot?" for that you could even have a photo of one of you literally tying a knot in a ribbon. This is a fun style of wedding invitation and you can use the same theme for your save the date cards and your wedding thank you notes. For these you can have the words save the date and thank you being held up. I have seen some fantastic wedding invites that have used this idea and had the couple in a photo booth hoding up various words. If you want something more formal then look to verses from classic poems or from religious text. 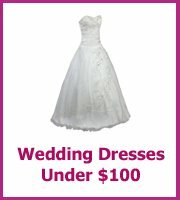 This will set the tone for the wedding and show the formality of the occasion. You can also incorporate your wedding invitation phrase onto the front of wedding programs, menus, and favors, this can then become your theme to your wedding. 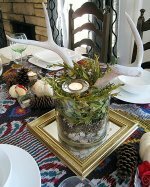 Creative ways to find cheap centerpiece mirrors for your wedding. 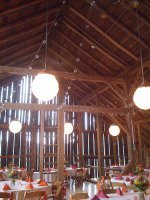 Decorate a barn wedding in style with cheap barn wedding decorations and centerpieces.